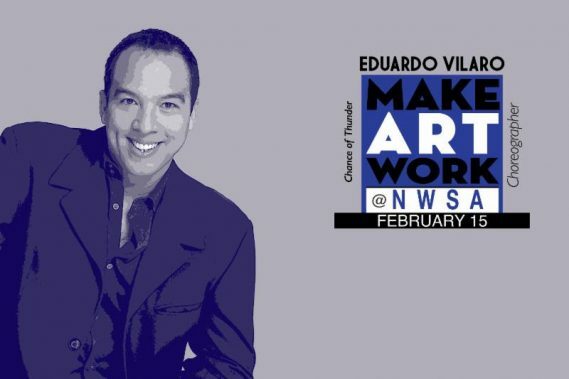 In its tenth year, New World School of the Arts’ Make Art Work [MAW] continues this year with two respected artists, Eduardo Vilaro, choreographer and Artistic Director of Ballet Hispanico in New York City and Russell Thomas, distinguished tenor and NWSA music alumnus (1998). The MAW series is designed to bring professionals in the art world together with students and the community for a dialogue on the business of art by focusing on providing tools, guidance and strategies for success to the next generation of artists. The primary goal of these dialogues is to expand understanding of what it takes to live as an artist in the twenty-first century. Each talk includes a question and answer session, allowing students and the public opportunities for direct communication with leaders in the art world. Eduardo Vilaro has created a new work, Chance of Thunder, for NWSA college students and is returning to NWSA to rehearse this vibrant new work. He will speak about his choreographic process and his approach to choreography, with a short showing of an excerpt of the dance, and a Q & A session with the audience, hosted by NWSA Dean of Dance, Mary Lisa Burns.